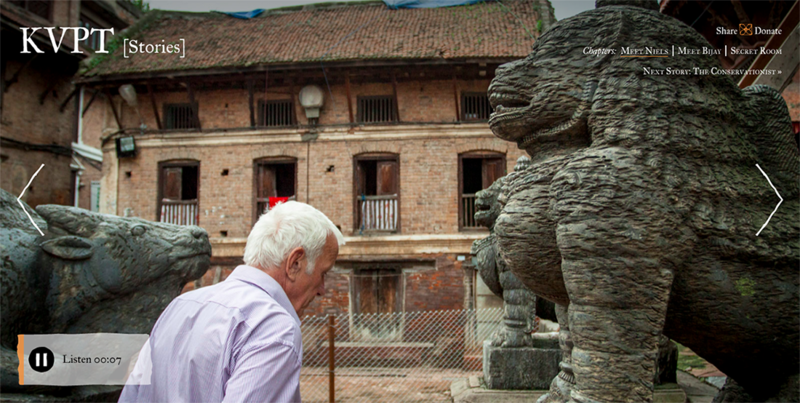 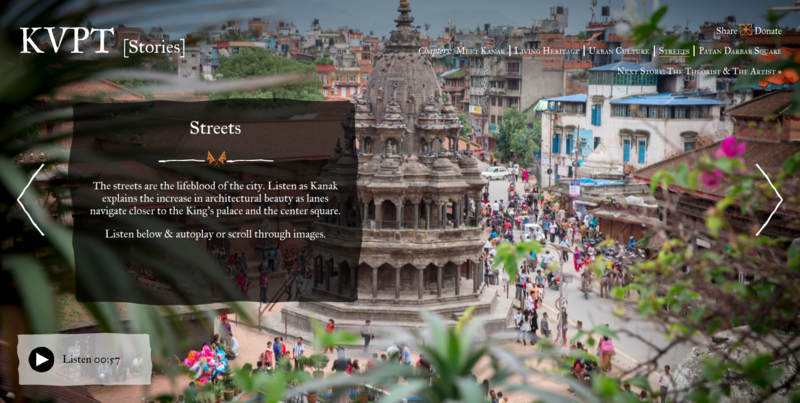 Just after the devastating 2015 earthquake in Nepal, the Kathmandu Valley Preservation Trust approached work x work to assist them in telling the story of their architectural work. 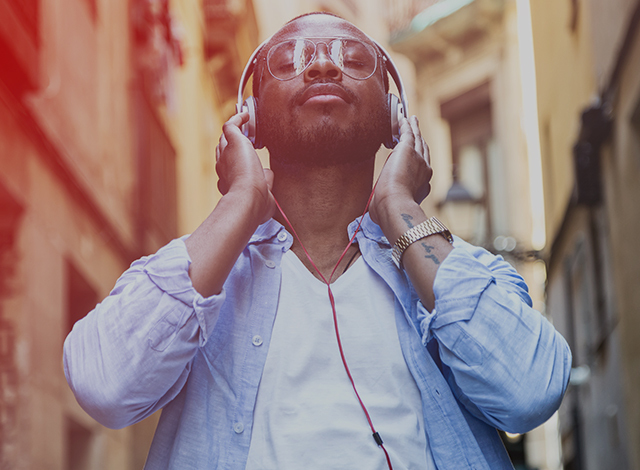 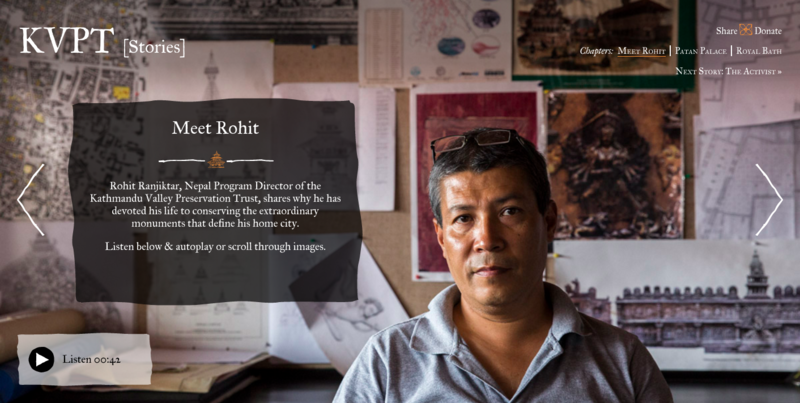 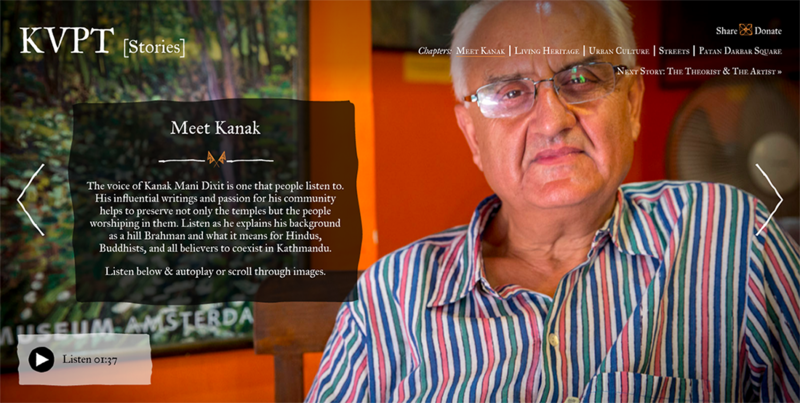 For the project, we photographed and interviewed key architects, draftsmen, writers, and historians to create an audio journey through Nepal through their eyes. 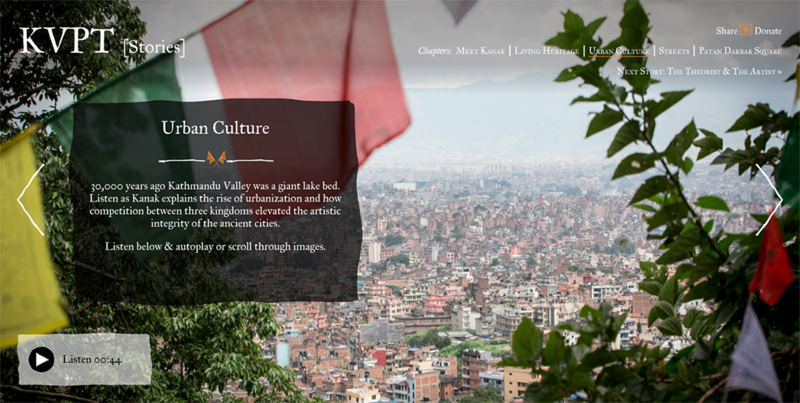 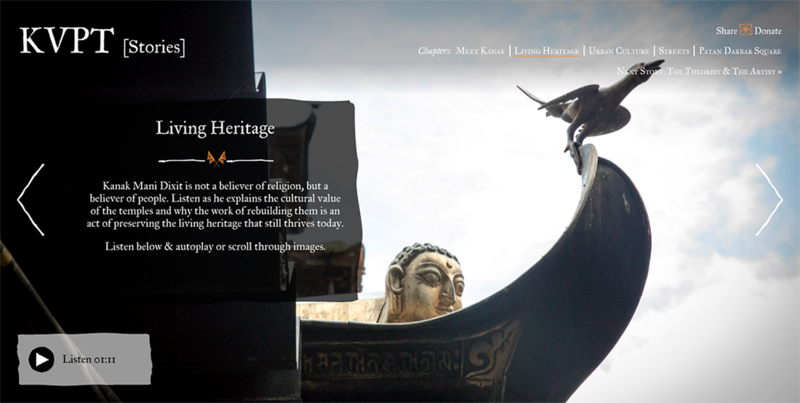 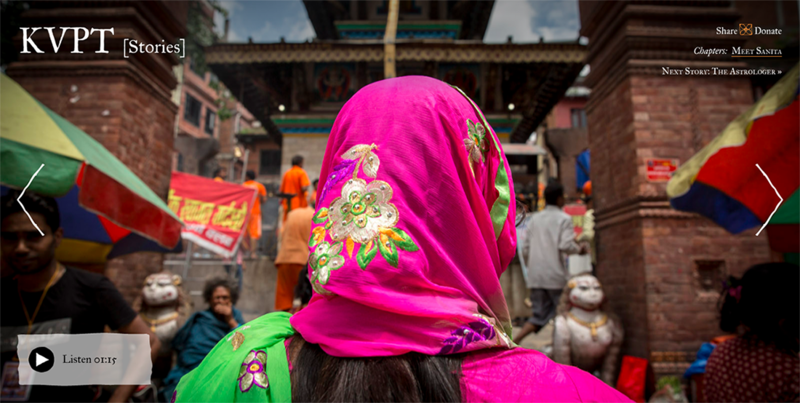 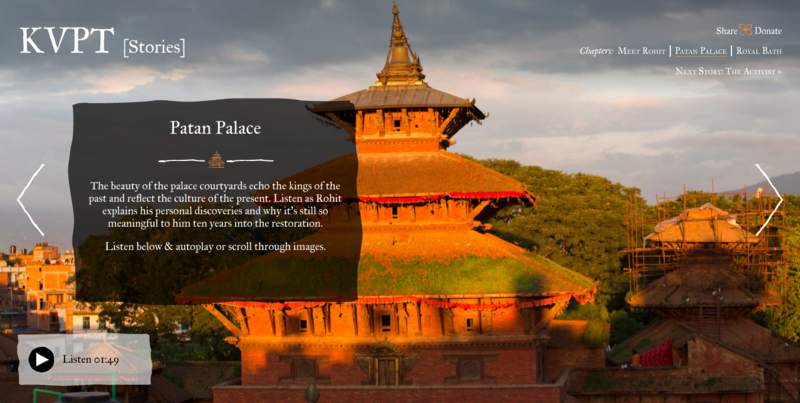 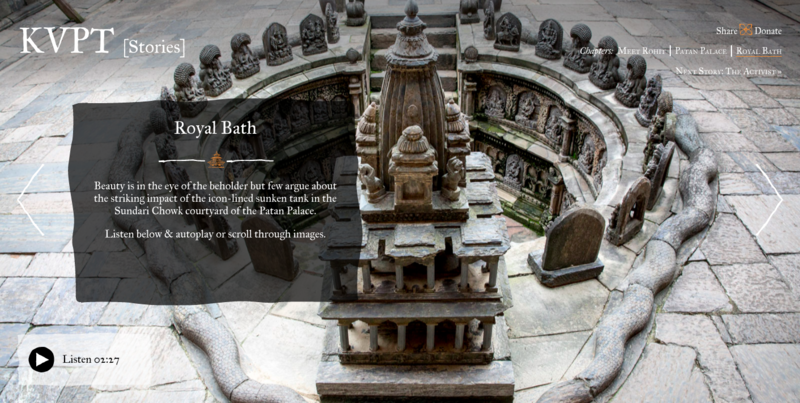 We created an interactive photographic tour of their achievements and brought to life the personal stories of Nepaliese culture and living heritage. 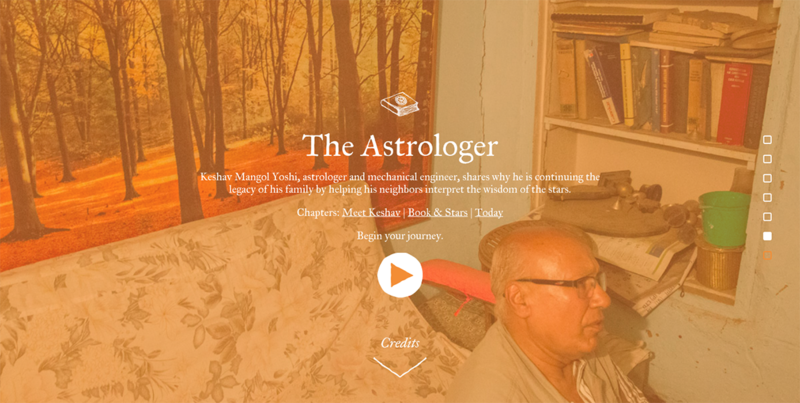 The original design and website enabled a new kind of storytelling with a humanitarian cause.